This graph depicts the average operating income multiple per franchise in the National Football League from 2005 to 2010. 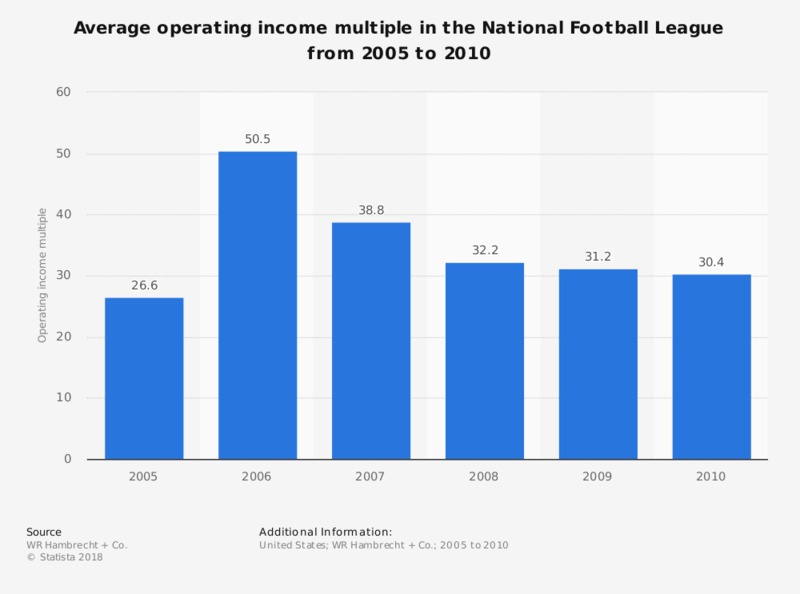 In 2005, the average operating income multiple of an NFL franchise was 26.6. Do you follow professional football? Which one, if any, of the following body parts do you think is the most vulnerable to injury in football? How closely have you been following the news about 'Deflategate' or the use of under inflated footballs by the New England Patriots in last year's AFC Championship Game? Are you very, somewhat, or a little interested in the National Football League? Which NFL conference is more interesting to you?